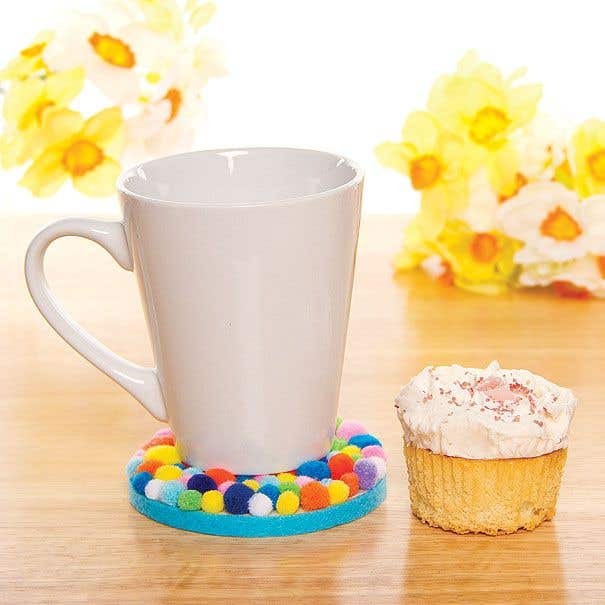 Cut a strip of blue self-adhesive felt to fit around the edge of the coaster and stick carefully in place, making sure the ends meet and don't overlap. 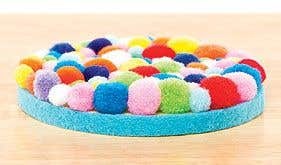 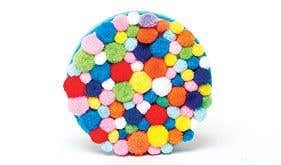 Using Glue Dots, apply pom poms across the surface of the coaster, making sure you've got a good variety of different colours and squashing them closely together until the coaster is completely covered. 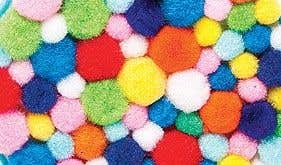 If you're worried about spilling drinks on the fabric design, cut a piece of clear plastic or vinyl to the size of the coaster and affix on top of the pom poms with a clear drying glue.